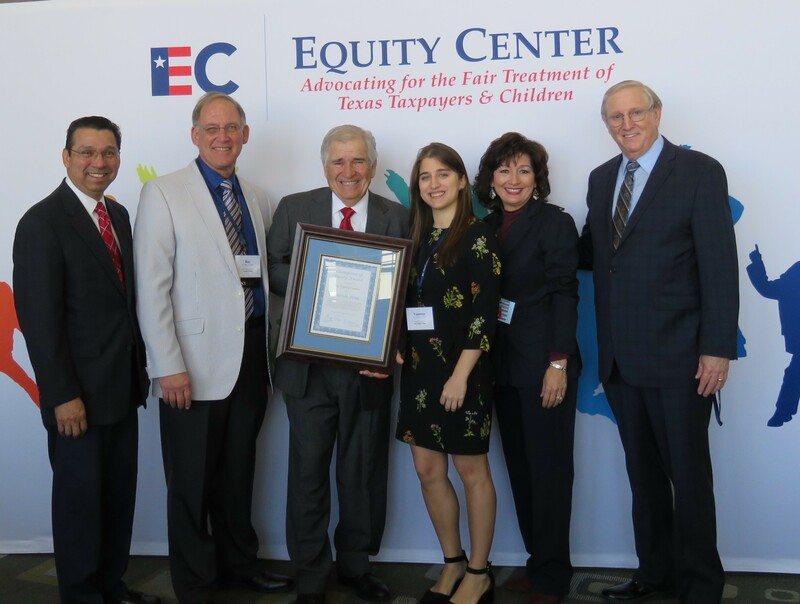 Through the years, various educators, legislators and community members have taken a stand for equity in Texas education, and numerous schoolchildren and communities have benefited from their persistence and commitment to advocacy. Read on to find out more about these strong leaders in the fight for equity in Texas school finance. In Texas politics, we often feel happy just to close out a legislative session with no changes to our public education system. But every so often, there are moments when we can look back at a legislative session and smile because we realize that even one small legislative change can have a great impact on schools and children across the state. This past legislative session, Chairman Drew Darby championed a cause that will positively impact nearly half the schools in the state by repealing the secondary, small schools adjustment which treated one set of small school districts differently than all other small schools, and funded them at a lesser multiplier for nearly 40 years. And while this specific example impacts over 460 small school districts across the state, Representative Darby has shown his dedication to pursuing what is in the best interests of all public schools through his support of public education in every legislative session since first elected in 2006. He remains accessible and available to meet and work with in efforts to better understand and address the concerns Texas schools face. He continues not only to listen, but to act in bold and meaningful ways that significantly impact schools throughout Texas. During his tenure with the Texas House of Representatives, he has served on key committees such as House Appropriations, Higher Education, and Ways and Means, and currently serves as Chairman of Energy Resources. He continues to take a keen interest in our public education system and his leadership is evident. 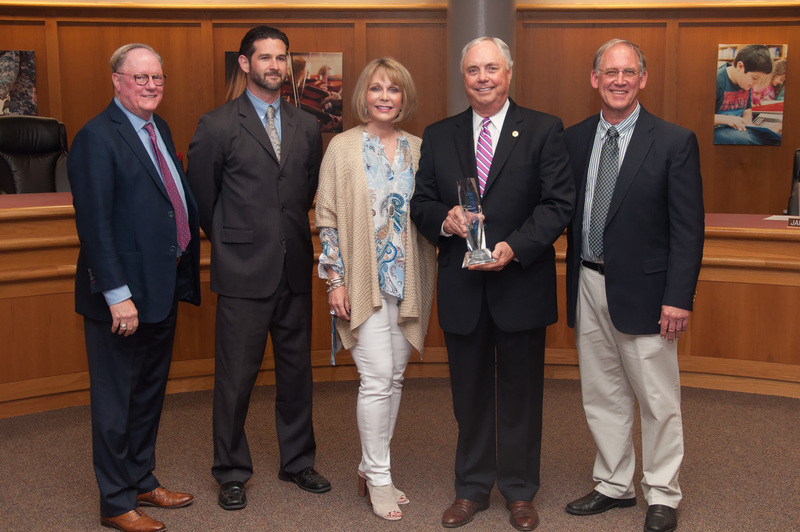 We are proud to recognize Chairman Drew Darby as our Champion for Children and we thank him for his continued service and dedication to the schoolchildren of Texas. Chairman Darby truly is a Champion for Children and a public servant who deserves this special recognition. The Equity Center is proud to name Mr. Rolando Peña as our Champion for Equity. Mr. Peña is the longest tenured superintendent in Region 1 and is one of the longest-serving in the state with over 44 years in Texas public schools. He served as superintendent of Rio Hondo ISD for 10 years and spent 7 years as superintendent of Lasara ISD. In 2001, he was named Region 1 Superintendent of the Year. Mr. Peña was an active, integral part of various education associations and spent 10 years as the Vice President of Membership on the Equity Center board of directors and was selected by TASA as a mentor and model administrator for beginning superintendents. He was a strong voice for equity and remained very involved in Equity Center membership all 17 years he was a superintendent. He continues to serve Texas children and public schools in his now 9th year as a member of the Sharyland ISD school board. We express our greatest appreciation for the many years in service to the children of Texas and his tireless efforts toward improving equity for all Texas schools. Thank you to our 2018 Champion for Equity: Mr. Rolando Peña.